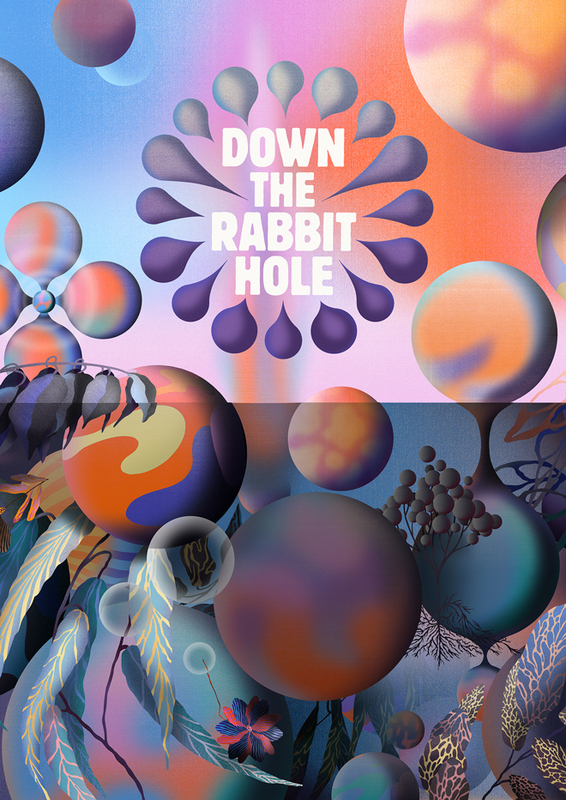 In the 2017 titles for Down the Rabbit Hole Festival, a celebration of music and arts happening over three days in the Netherlands, brothers Merijn Hos and Jurriaan Hos iterate once more on a magical theme. Each year, the brothers are tasked with crafting the creative direction of the Dutch festival, including promotional teaser, titles, and marketing materials, and each year they expand on their previous work. 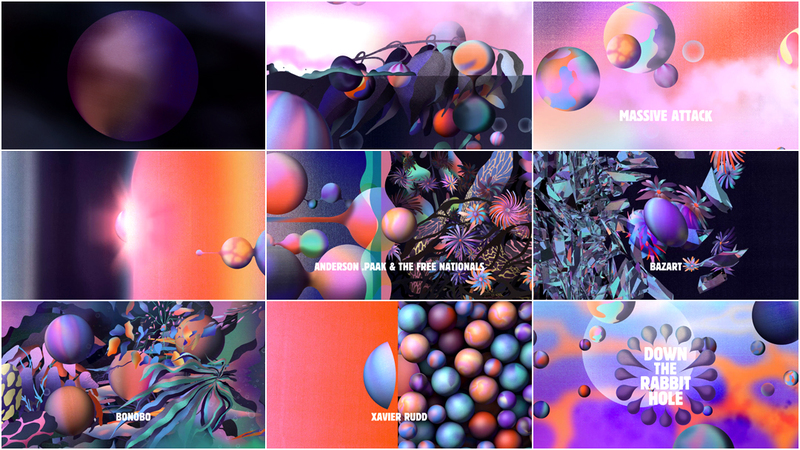 For the 2016 edition, the title sequence was a fantasia of forms, ushering the viewer beyond the boundaries of experience. 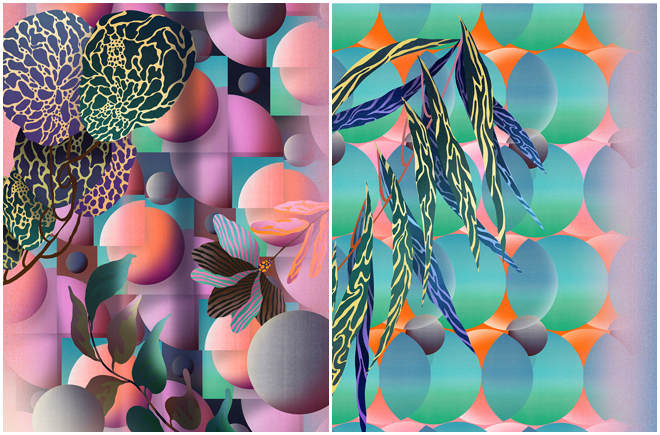 Merijn, the illustrator and designer, also created a series of nine posters for the event. This year, they build on these themes, exploring new techniques. Down the Rabbit Hole Festival title designer and illustrator MERIJN HOS runs down the process for the festival's main titles and updated creative direction. Early 2016, I got an old 1980s photocopier and I started experimenting with gradient sheets that I made on the machine. I made scans and put them in duotones creating a library of colours and backgrounds and began making illustrations with them, first personal pieces and record sleeves. 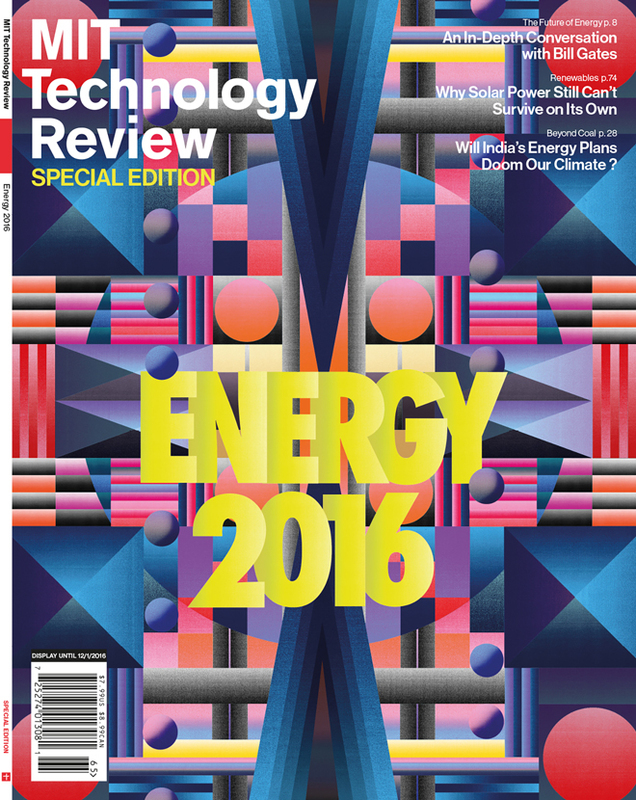 Later in the year I did commissions for MIT Technology Review, Wired magazine and Calvin Klein. I loved working with this new style as it felt new and exciting for me and I decided I also wanted to use this style for Down The Rabbit Hole as I think the look and feel fits perfectly with the festival. After three years working with the more vector-based style it also made sense to update and re-invent the identity of the festival. Going into this direction made sense. It is totally different but it has the same feel to it. Mysterious, psychedelic. The goal is to create something that doesn’t exist yet and has a strong mood. I started creating some mood images that had to form the base for the 2017 identity and title sequence. I designed a large library of globes and plants before we even started thinking about a storyboard. While creating these a bold idea for a storyboard appeared and I made a concept poster for the 2017 edition. We started working on the animation piece and during the process new ideas came up. It was a very organic process and this only works when you get 100% creative freedom from a client.